Silence in the face of evil is itself evil: God will not hold us guiltless. Not to speak is to speak. Not to act is to act. 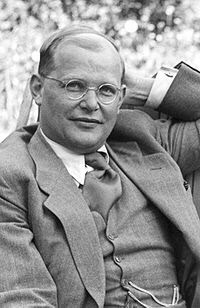 -Dietrich Bonhoeffer, Abwehr Agent. We are in trouble, my lovelies. The intelligence guys are trying to get ahead of whatever it is they know. They’re taking a big risk. Trump has never been about Making America Great Again. What he and his advisors are really up to we are only now beginning to understand. If you have to subscribe to one podcast, make it TrumpCast from Slate. Here’s the latest episode: A Cry For Help. Stay calm, hold hands, look out for one another. More: the NYTimes Editorial Board asks for a congressional investigation. If Trump and his campaign have nothing to hide, they should welcome this opportunity to clear the air.